I was a bit out of ham activity so was not really aware of the ongoing/upcoming activities. Switched the MP on 16/Oct and tuned around. 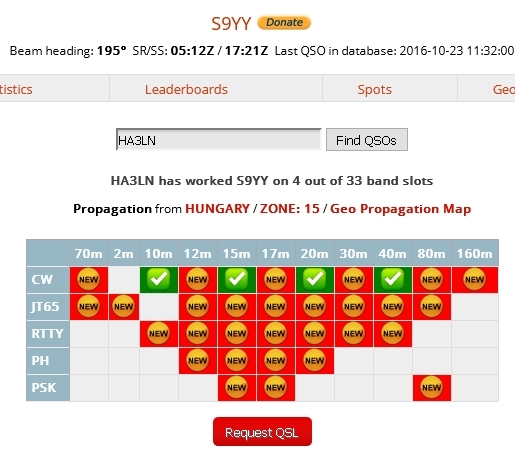 I found S9YY with pretty loud sigs on 15m CW and could log them easily. The funny part was that after this roughly in 2.5 hours time I managed to reach the area on 3 other bands as well which is sort of a record from the “play” station as this is not what I usually can do with a single vertical and low wires.